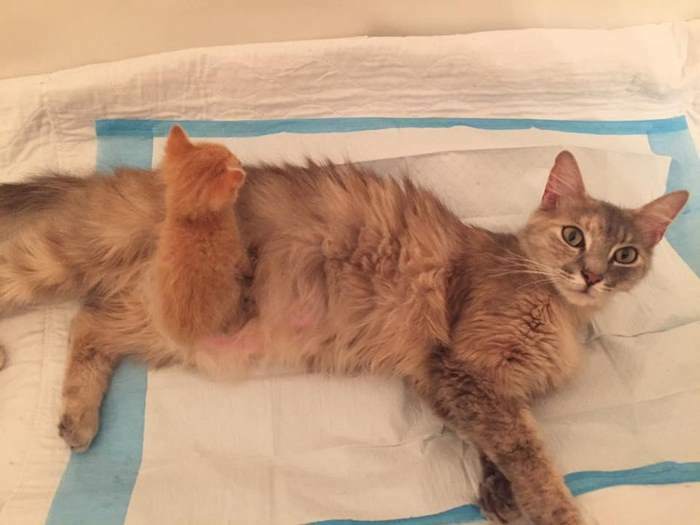 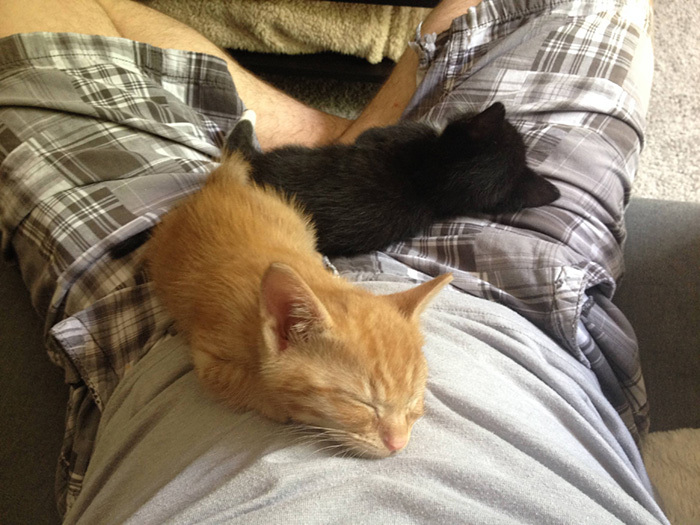 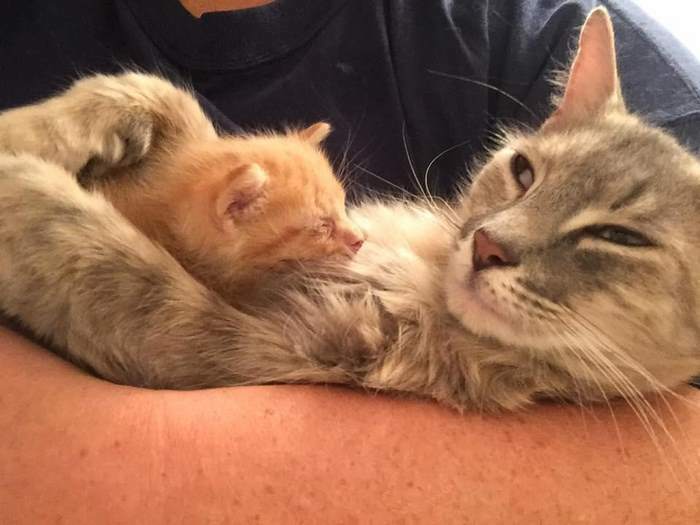 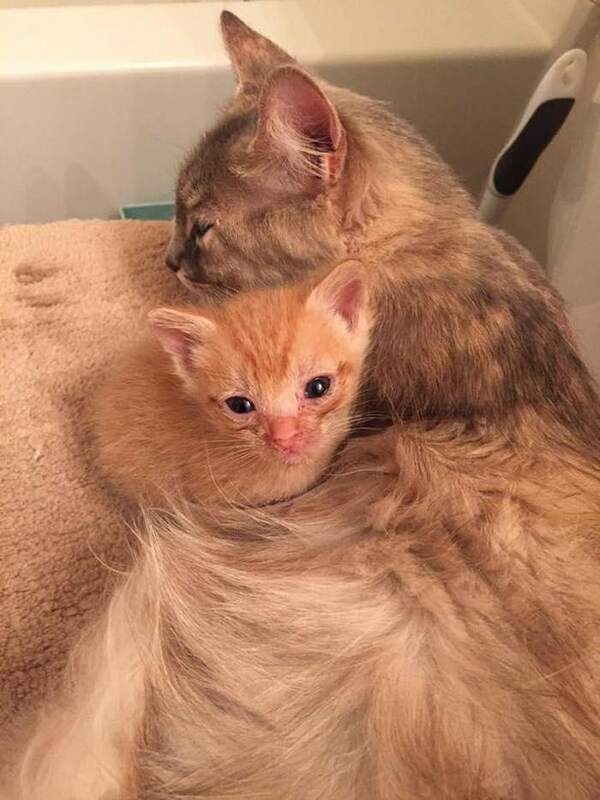 Meet Flame, the sick kitten who was taken to the Atlanta Humane Society (AHS) and needed a miracle to survive – and that miracle came in the form of Ember, a very special mamma cat. 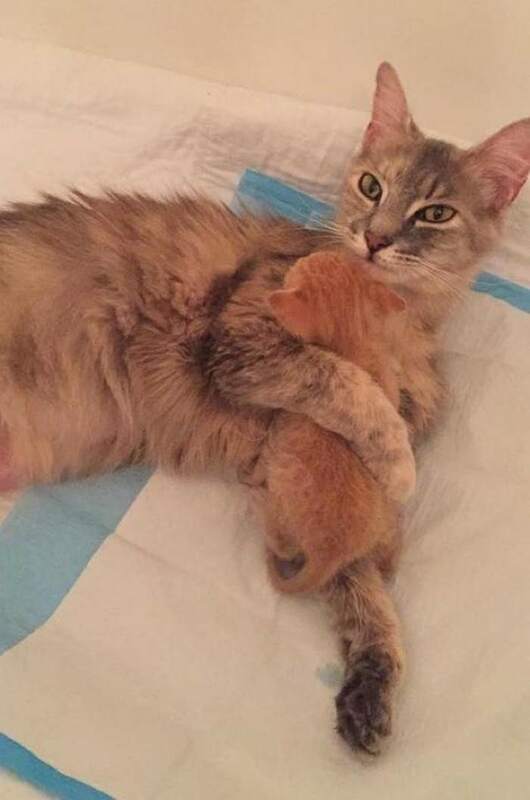 Just a week before Mother’s Day, the older feline experienced a tragedy when all her newborn kitties died. 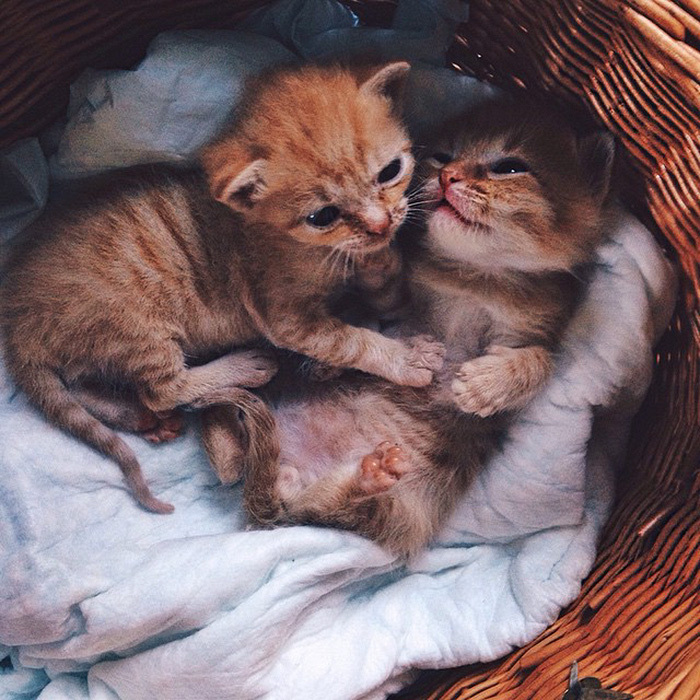 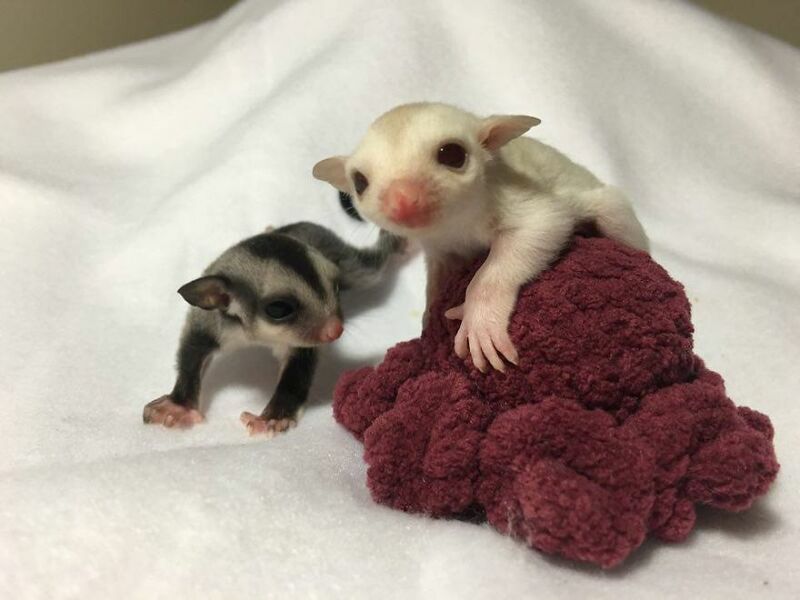 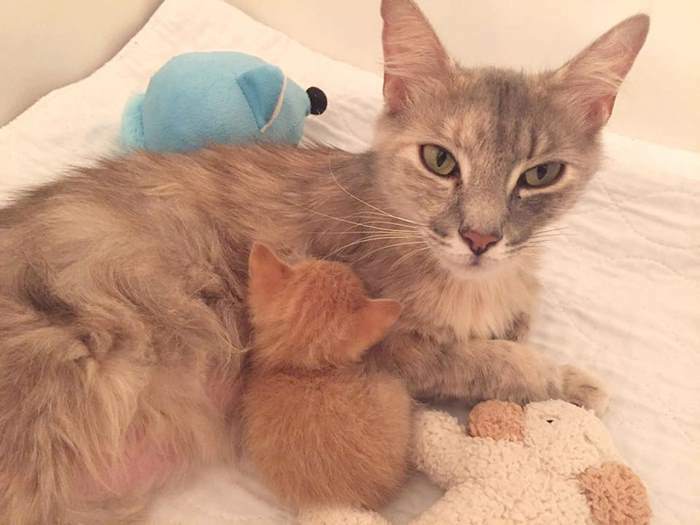 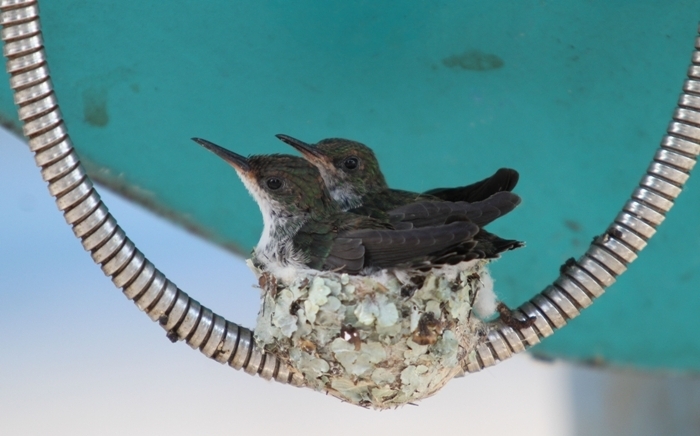 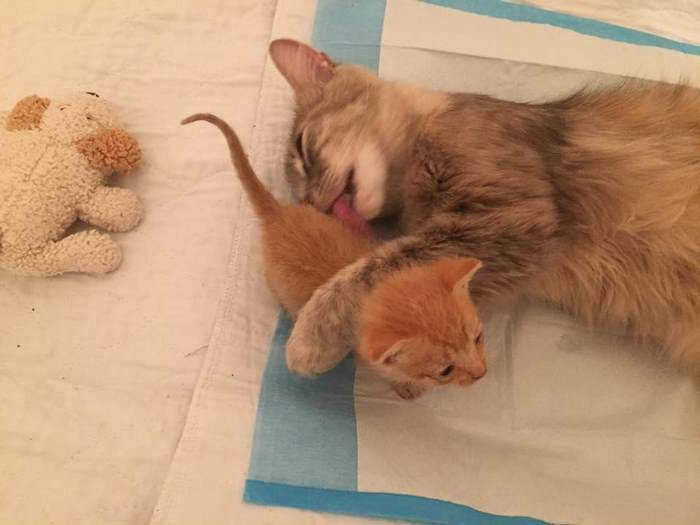 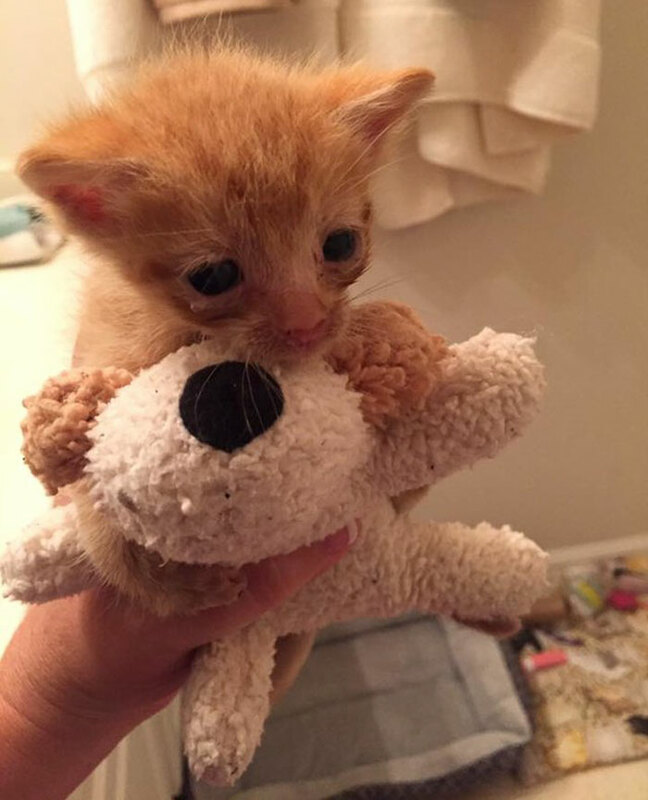 “She had lost all of her babies,” Christina Hill, director of marketing and communications for AHS, told The Dodo, ”but not her motherly instinct.” So, when the time came for Ember to meet Flame, the sick kitten, it’s no surprise that she started showering the tiny thing with love.